Spice it up...Amp it up! Around here we are big fans of using fresh ground spice mixtures in our cooking. 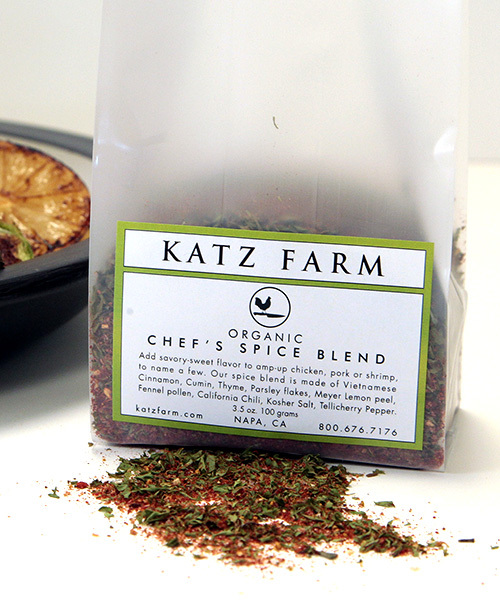 The truth is that if we didn't have an extraordinary spice and herb shop right in our neighborhood where they grind the spices that they source from all over the world, we probably would not have been inclined to offer this as part of our KATZ herbs and spices. So thank Shuli, the spice business owner, who was raised in Israel and spent his childhood on his father's farm growing herbs and spices with memories of his family grinding these daily for their own cooking. Most of what he sources is organic and Kosher certified. They stand above any other spices we have ever found. 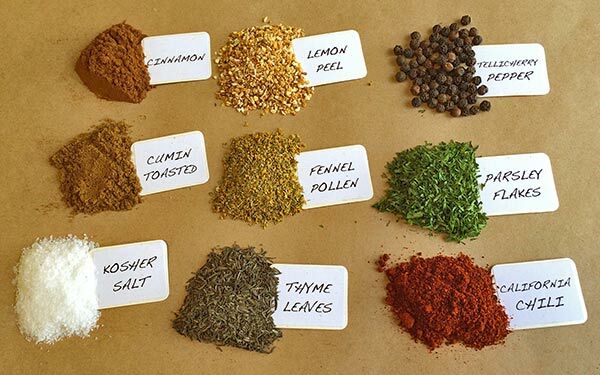 Our spice blend is made of cinnamon, toasted cumin, thyme leaves and parsley flakes, Meyer lemon peel and fennel pollen (my new favorite spice!) rounded up with California chili...all lend notes to our flavor-packed blend balanced with kosher salt and ground Tellicherry Pepper...a combination that adds savory-sweet layers of flavor for a simple way to amp-up many dishes. And the synergy between our new spice blend and our organic olive oils will become apparent since in most cases all you need is these two ingredients to enhance the flavor of your sautéed, roasted, smoked or grilled foods. Toss or rub the oil and KATZ Chef's Pick Spice Blend into all meat, fish, and vegetables. For a roast chicken, rub it all over - even under the skin. For a spice-encrusted pork tenderloin...just coat and grill, or toss it with some fresh shrimp and finish on the "barbie." And if you feel you want to share, e-mail me your recipe ideas when you have had a chance to up your game in your kitchen!